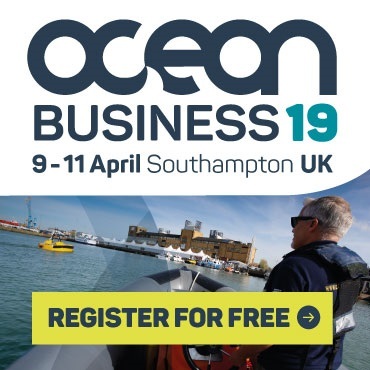 Ocean Business 2019, being hosted at the National Oceanography Centre (NOC) in Southampton, is just around the corner (9–11 April 2019) and promises to be one of the biggest events in the international marine sector calendar. Ocean Business is free to attend and is expected to attract more than 5,000 visitors from over 60 countries. You can register today at the Ocean Business website. The NOC is the UK’s leading institution for integrated coastal and deep ocean research, and will be showcasing how its cutting-edge scientific research, pioneering technology development and world class facilities can be used to underpin the global ocean industry by helping to solve the big challenges that arise as the world’s economies become increasingly reliant on the ocean. advanced seafloor and submarine geohazard monitoring. Aidan Thorn, Innovation Centre Manager at the NOC, said: “The NOC is delighted to once again be hosting Ocean Business. With thousands of delegates in attendance from all over the world, this is an opportunity for the whole marine science and technology community to come together and see 340 exhibits as well as 200 hours of hands-on training and demonstration sessions. “During Ocean Business NOC scientists, technologists and business team will be hosting an extensive programme of workshops and seminars. This year our aim is to be in listening mode, so that we can build upon our understanding of what industry needs now and in the coming years, and also to discuss how the NOC’s science and technology development can provide the information and expertise to support these objectives. The full programme of NOC sessions is available on the Ocean Business 2019 website.